KINGDOM HEARTS III+JUMP FORCE США/USA PS4 300 250 руб. Grand Theft Auto V+LittleBigPlanet™ 3 Russia PS4 300 250 руб. NARUTO SHIPPUDEN:Ultimate Ninja STORM 4+GTA V USA PS4 480 400 руб. NARUTO SHIPPUDEN Ultimate Ninja STORM 4+GT V USA PS4 480 400 руб. Witcher 3+Far Cry Primal+DiRT Rally+STORM 4+Games EU PS4 600 500 руб. DOOM+Batman:Arkham Knight+Battlefield 1+Игры Россия PS4 720 600 руб. BLACK CLOVER:QUARTET KNIGHTS+SHINOBI STRIKER+OverwatchUS PS4 720 600 руб. Call of Duty:Black Ops 4+Ni no Kuni II+GTA V+8 TOP EU/RU PS4 960 800 руб. PS4 Anthem Legion of Dawn+FF XV+Destiny 2:Forsaken+Games USA 960 800 руб. PS4 Anthem+UFC 3+Black Ops 4+Spider-Man+GTA V+6 TOP EU/RU 1440 1200 руб. PS4 RDR 2+FIFA 19+NBA 2K19+Marvel Spider-Man+4 Games EU/RU 1440 1200 руб. RESIDENT EVIL 2+GTA V+Crew 2+DARK SOULS III+21 TOP EU/RU PS4 1500 1250 руб. Devil May Cry 5+RESIDENT EVIL 2+Anthem+UFC 3+11TOP EU/RU PS4 2040 1700 руб. 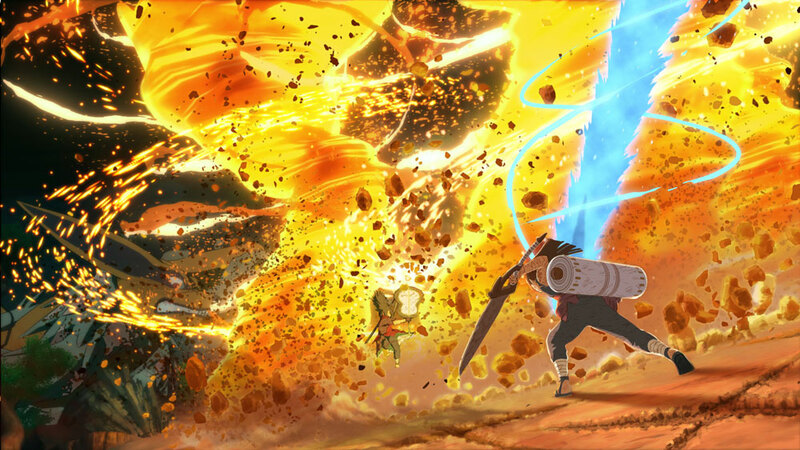 NARUTO: Ultimate Ninja STORM+Battlefront II DLC (USA) PS4350 руб. Street Fighter V+NARUTO SHIPPUDEN (PS4) USA350 руб. Battlefield™ 1+NARUTO SHIPPUDEN: Ultimate Ninja PS 4 Россия!350 руб. 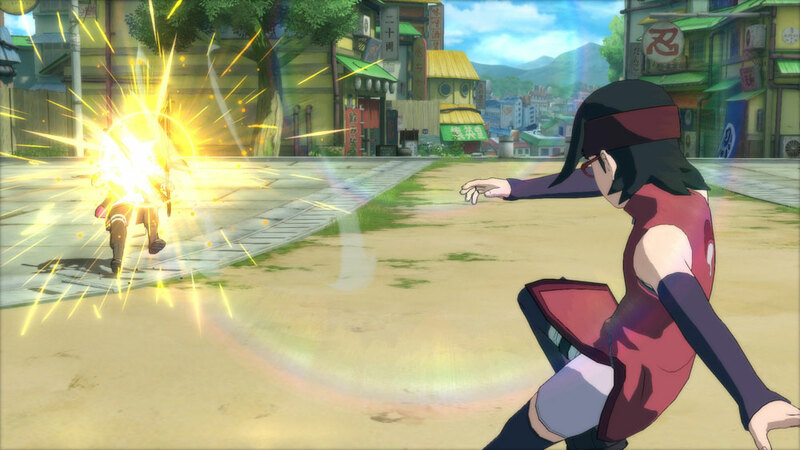 NARUTO TO BORUTO: SHINOBI STRIKER Deluxe+PS PLUS 12(PS4)USA350 руб. DRAGON BALL XENOVERSE 2+ NARUTO SHIPPUDEN 4 PS4 ENG350 руб. Horizon Zero Dawn+ NARUTO SHIPPUDEN STORM Trilogy PS4 EUR350 руб. NARUTO SHIPPUDEN + God of War® III Remastered PS4 EUR350 руб. NARUTO SHIPPUDEN™: Ultimate Ninja® STORM 4 PS4 USA353 руб. 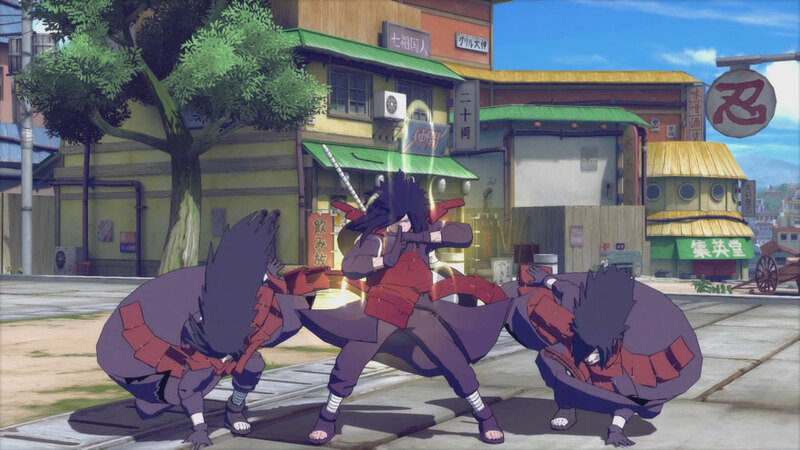 NARUTO SHIPPUDEN: Ultimate Ninja STORM 4 PS4 EUR/RUS399 руб. NARUTO SHIPPUDEN: Ultimate Ninja STORM Legacy PS4 USA399 руб. NARUTO SHIPPUDEN STORM 4 Deluxe+The Crew (PS4) EU|RU400 руб. NARUTO SHIPPUDEN: Ultimate Ninja STORM Trilogy PS4 USA429 руб. The Witcher 3: Wild Hunt+2GAMES PS4 EUR450 руб. Destiny 2: Forsaken - Legendary Collection+ GAMES PS4 USA450 руб. Destiny 2+ NARUTO+ Last Of Us+ NieR+ Mass Effect PS4 USA500 руб. NARUTO SHIPPUDEN: U.N.STORM 4 (PS4/RUS) Гарантия500 руб. NARUTO + DRAGON BALL XENOVERSE + GAMES PS4 EUR500 руб. GTA V+NARUTO+No Man's Sky+FF XV (PS4) USA500 руб. NARUTO+ Horizon+ Witcher 3+ RESIDENT EVIL 7 PS4 EU/ RUS500 руб. The Witcher 3 Complete+ Bloodborne + Horizon + Games PS4 USA500 руб. NARUTO SHIPPUDEN 4 + Skyrim + ИГРА PS4 RUS/ENG500 руб. Grand Theft Auto V + FIFA 18 + Naruto Shippuden PS4 EUR/RUS500 руб. Hidden Agenda + Overcooked + Naruto + 2GAMES PS4 USA500 руб. Resident Evil Revelations 2+NARUTO+Black Flag+TLOU PS4 EU/RU500 руб. NARUTO SHIPPUDEN: Ultimate Ninja STORM Legacy PS4 EUR550 руб. Grand Theft Auto V + Horizon + GAME PS4 USA550 руб. NARUTO TO BORUTO: SHINOBI STRIKER PS4 USA589 руб. Mortal Kombat XL(RUS)+NARUTO SHIPPUDEN+Minecraft (USA) PS4599 руб. П3 - Naruto Shippuden: Ultimate Ninja 4 (PS4/RU) Активация599 руб. DiRT 4 +NARUTO SHIPPUDEN: Ultimate Ninja STORM 4 PS4 EUR/RUS599 руб. NARUTO SHIPPUDEN: Ultimate Ninja STORM Legacy +Crash PS4 EUR599 руб. NARUTO TO BORUTO: SHINOBI STRIKER PS4 EUR599 руб. NARUTO 4 ROAD TO BORUTO + NBA 2K18 + ИГРЫ PS4 ENG599 руб. Horizon + Skyrim + NARUTO 4 + Borderlands PS4 RUS/ENG599 руб. PS4(USA)NARUTO SHIPPUDEN™+DRAGON BALL XENOVERSE 2+игры600 руб. UNCHARTED 4+Skyrim+3 GAMES PS4 EUR/RUS600 руб. 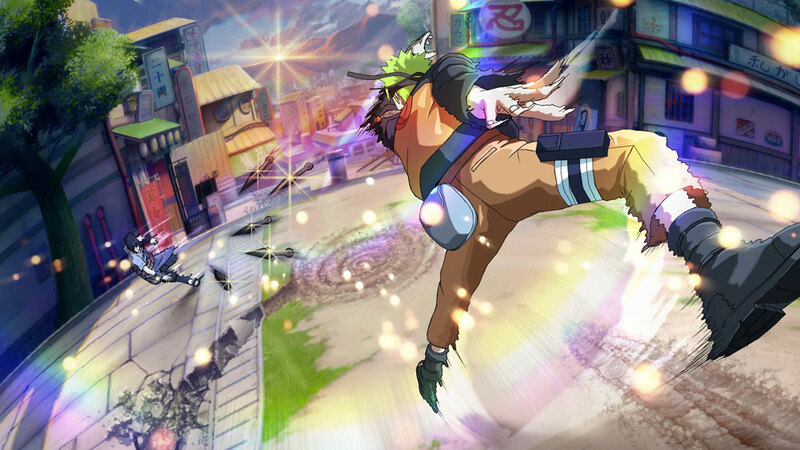 PS4 NARUTO TO BORUTO: SHINOBI STRIKER (USA)600 руб. GTA V+Monster Hunter +Battlefront II + 2 GAME PS4 EUR650 руб. Tetris Effect + 6GAMES PS4 USA699 руб. DARK SOULS II + Horizon Zero Dawn + 3GAMES PS4 EUR/RUS699 руб. DARK SOULS™ III +Grand Theft Auto V+ игры PS4 Россия700 руб. Battlefield™ 1 + Human: Fall Flat + GAMES PS4 РОССИЯ700 руб. DARK SOULS™ III + DOOM + ТОП ИГРЫ PS4 РОССИЯ700 руб. Unravel Two + Spyro + Unravel + 12GAMES PS4 USA700 руб. Spyro Reignited Trilogy+NARUTO+AC Origins (PS4) USA700 руб. NARUTO SHIPPUDEN: Ultimate Ninja STORM Legacy +GAMES PS4 EUR799 руб. NARUTO + Tomb Raider+God of War+Battlefield Hardline PS4 USA799 руб. DARK SOULS + The Evil Within 2 + Origins + ИГРЫ PS4 ENG799 руб. PS4 Call of Duty: Black Ops 4 - Digital Deluxe+TOP Games USA800 руб. Call of Duty®: Black Ops 4+3GAMES PS4 EUR800 руб. Assassin's Creed Odyssey + Black Flag + ИГРЫ PS4 RUS/ENG800 руб. Spyro Reignited Trilogy + NARUTO SHIPPUDEN Legacy PS4 ENG800 руб. Battlefield™ 1 + Battlefield™ V + FANTASY XV PS4 РОССИЯ800 руб. Spider-Man + NARUTO SHIPPUDEN PS4 USA800 руб. Far Cry 5+ TEKKEN 7 - Ultimate+ Far Cry 4+ NARUTO PS4 EU/RUS800 руб. God of War+Marvel's Spider-Man+Horizon+NARUTO (PS4) USA800 руб. Battlefield V + NBA 2K19 + NFS Payback + 3GAMES PS4 USA800 руб. God of War + Horizon Zero Dawn + 6GAMES PS4 EUR/RUS800 руб. God of War + Naruto Shippuden + 3GAMES PS4 USA800 руб. Marvel's Spider-Man + 5GAMES PS4 USA800 руб. Far Cry New Dawn + Spider-Man + GoW + Games PS4 USA800 руб. NBA 2K19 20th+GTAV+NARUTO SHIPPUDEN STORM 4 PS4 USA 850 руб. SHADOW OF THE COLOSSUS + 5GAMES PS4 USA899 руб. NARUTO SHIPPUDEN: Ultimate Ninja STORM Legacy +GAMES PS4 USA899 руб. Marvel's Spider-Man + Ni no Kuni II + 9GAMES PS4 USA899 руб. Spider-Man Deluxe+NFS+NARUTO SHIPPUDEN+STORM 4+PS+ PS4 USA900 руб. FIFA 18+AC Origins+Thief+6GAMES PS4 EUR900 руб. God of War , Assassin’s Creed Origins Gold | USA | PS 4900 руб. God of War (2018)+ UNCHARTED 4+ Nioh+ NARUTO+ Games PS4 ENG900 руб. 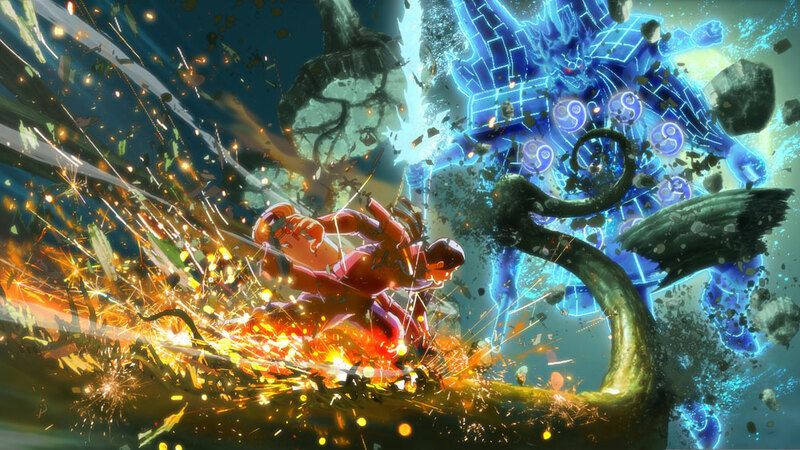 Spider-Man + NARUTO SHIPPUDEN + Tales of Vesperia +PS4 EUR900 руб. Batman: Arkham Knight + FIFA 18 + 5GAMES PS4 EUR/RUS900 руб. Mass Effect: Andromeda+Fallout 4+RISK+12GAME PS4 USA950 руб. Batman: Arkham Collection+Minecraft+NARUTO+5 GAMES(USA) PS4999 руб. SOULCALIBUR VI + 4 GAMES PS4 EUR/RUS999 руб. TEKKEN 7 + 6GAMES PS4 EUR/RUS999 руб. Last Guardian+NARUTO+Ведьмак 3+Diablo III+17 игр(PS4/RUS)999 руб. TEKKEN 7+Nioh+The Last Guardian+Games PS4 RUS1000 руб. MONSTER HUNTER+TEKKEN 7+The Last Guardian PS4 Россия!!! !1000 руб. UFC 3 + Marvel's Spider-Man + NARUTO 4 + ИГРЫ PS4 RUS/ENG1000 руб. UFC® 3 + 2017 + Spider-Man+ God of War + GAMES PS4 EUR1000 руб. KINGDOM HEARTS III + Andromeda + Spider Man PS4 USA1000 руб. Anthem + RDR 2 + Black Ops 4 + 10GAMES PS4 USA1000 руб. UFC 3 + Spider-man + Horizon + RE7 + 14GAMES PS4 USA1000 руб. HITMAN 2 + God of War + GAMES PS4 USA1000 руб. FIFA 19 + Grand Theft Auto V + NARUTO + Sims 4 PS4 EUR/ RUS1000 руб. FIFA 19 + NARUTO TO BORUTO + Spider-Man + GAMES PS4 EUR1000 руб. UFC® 3 + Ninja STORM 4 + FIFA 18 + Gran Turismo PS4 РОССИЯ1000 руб. Redemption 2+ Bloodborne+ FINAL FANTASY XV+ Games PS4 USA1000 руб. PS4 Just Cause 4 Gold, NARUTO TO BORUTO: SHINOBI STRIKER1000 руб. God of War + DOOM + Naruto Shippuden + NHL 17 PS4 RUS1000 руб. AC Odyssey+Battlefront II+Skyrim+Diablo III+3ИГР(ENG) PS41050 руб. FIFA 19 + Trials Rising + Uncharted 4 + 6GAMES PS4 EUR/RUS1099 руб. Vampyr + God of War + Injustice 2 + 16GAMES PS4 USA1099 руб. Pro Evolution Soccer 2019 + MK XL + 13GAMES PS4 USA 1099 руб. Marvel's Spider-Man + God of War + NHL 19 +8GAMES PS4 USA1199 руб. GTA V+MK X+UFC 2+Ведьмак 3+NARUTO+(PS4/RUS)1199 руб. God of War + RDR 2 + Spider-man + KH III + 6GAMES PS4 USA1199 руб. Redemption 2 + God of War + Odyssey + GAME PS4 USA1200 руб. Detroit: Стать человеком+ Watch Dogs® 2+ ИГРЫ PS4 РОССИЯ1200 руб. JUMP FORCE + Battlefield V + RDR 2 +Odyssey + Games PS4 USA 1200 руб. Red Dead Redemption 2: Ultimate + 6 Games PS4 USA1200 руб. God of War+TEKKEN 7+FIFA 19+Injustice 2+NARUTO+(PS4/RUS)1299 руб. GTA V+TEKKEN 7+WH End Times+NARUTO+DARK SOULS+ИГРЫ(PS4/RUS)1299 руб. God of War 2018+Spyro+Persona 5+Crash+NARUTO(PS4/RUS)1299 руб. FIFA 19+Overwatch+GTA V+NARUTO SHIPPUDEN+ИГРЫ(PS4/RUS)1299 руб. God of War 2018+GTA V+NARUTO+Diablo III(PS4/RUS)1299 руб. God of War+NARUTO+GTA V+Diablo 3+Инквизиция(PS4/RUS)1299 руб. KINGDOM HEARTS III + RDR 2 + Odyssey + Games PS4 USA1300 руб. Anthem + RDR 2 + Spider-Man + NARUTO 4 PS4 RUS/ENG1399 руб. Red Dead Redemption 2/Call of Duty®:Black Ops 4 and.PS4 USA1400 руб. JUMP FORCE+KINGDOM HEARTS III+FIFA 19+15GAMES(USA) PS41400 руб. Red Dead Redemption 2 (RUS)+FIFA 19+Spider-Man+7ИГР(EUR) PS41400 руб. RESIDENT EVIL 2 Deluxe Editio + Games PS4 EUR1400 руб. Red Dead Redemption 2 + A Way Out + ИГРЫ PS4 RUS/ENG1499 руб. UFC 3+FIFA 18+NBA 2K18+God of War+Человек-паук+(PS4/RUS)1499 руб. DEAD OR ALIVE 6 + NARUTO 4 + DIVINITY + ИГРЫ PS4 RUS/ENG1700 руб. Tom Clancy’s The Division 2 + 14 TOP GAMES PS4 USA1700 руб. JUMP FORCE (RUS)+DmC+Grand Theft Auto V+COD WM+4ИГР(EUR) PS41700 руб. JUMP FORCE + RESIDENT EVIL 2 + UFC 3 + TOP GAMES PS4 USA1700 руб. Redemption 2 + Injustice 2 + TEKKEN™7 + GAME PS4 EUR1750 руб. Division® 2 + JUMP FORCE + Odyssey + GAME PS4 EUR1850 руб. Red Dead Redemption 2: Ultimate+12 TOP GAMES (EUR/RUS) PS42499 руб. The Division 2 + Anthem + JUMP FORCE + ИГРЫ PS4 RUS/ENG2999 руб. Assassin's Creed Brotherhood + Thief + 5 GAMES PS3 EUR/RUS799 руб. AC Rogue+Инквизиция+CRYSIS 3+Diablo+BF 4+10 игр(PS3/RUS)799 руб. Tomb Raider + Resident Evil +10GAMES PS3 USA999 руб. Naruto Shippuden U.N.STORM 4 (PS4/RUS) Аренда 7 суток150 руб. NARUTO SHIPPUDEN: UNSTORM 4 (PS4/RU) (Аренда 7 дней)199 руб.